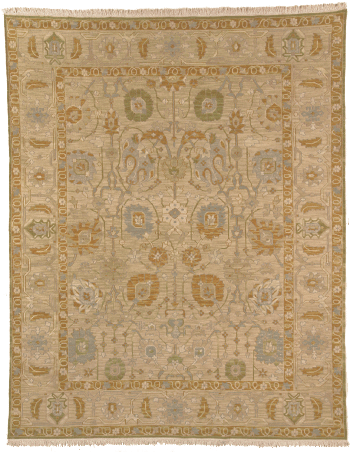 This classical design is woven in the ancient Soumack weave with a camel background with gold and gray-blue accents. Also available in 2’6″x10′ runner, Call to order. SKU: FW47. Categories: Classic Traditional, Kilims & Soumacks. Tag: 8x10.